Justice Organization is an Afghan-led, non-profit, and non-partisan organization inspired by Afghanistan's youth-the next generation of Afghans responsible for Afghanistan's continued social and economic development. AJO seeks to empower youth to take ownership of their country and make a difference in the lives of others through legal awareness, application of the law, and freedom of choice. AJO is organized exclusively for the purpose of promoting legal reform through education and training and to advance free markets and individual liberty under the laws of the Government of the Islamic Republic of Afghanistan. AJO’s purposes and aim is to improve and strengthen the formal justice institutions; improve and strengthen the informal justice sector and establish a mechanism to link the formal and informal justice sectors; Conduct seminars, conferences, and in-service training programs at the local, national, and international level to facilitate cooperation among Afghan- based justice institutions; draft policy papers, publishing books and other conducting research and analysis on legal issues concerning Afghanistan. AJO’s Strategic Studies Program acts as its platform forin-depth research, analyses, and publications on political, economic and securityissues affecting Afghanistan and the South and Central Asian region. AJO’s also has a monthly magazine,‘Afghan Zariza’ (Afghan Millennium), which is a widely popular print and media publication providing locals and international readers with access to timely reportage and analysis on Politics and Security, Business and Economy, Law, Sports and Lifestyle. 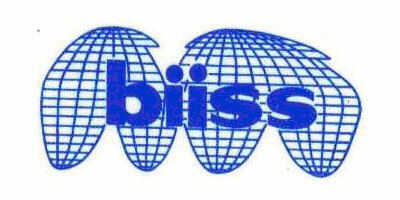 Bangladesh Institute of International and Strategic Studies (BIISS) is a statutory and autonomous research institution established on 25 June 1978 by the Government of Bangladesh. The research activities of the Institute are carried out by the Research Faculty consisting of a team of full-time researchers with varied social sciences background. The Institute is organised along territorial and functional distribution of Divisions and Desks. There are five divisions in the Research Faculty: (i) Defence Studies; (ii) Non-traditional Security Studies; (iii) International Studies; (iv) Strategic Studies and (v) Peace and Conflict Studies. Major aims and objectives of the Institute includes: undertaking and promoting research in the areas of international relations, national issues and policies relating to security, defense and external relations. When required, the Institute assists the government in the planning, formulation and implementation of policies in the fields mentioned above. The institute also works as a center for documentation on international relations and seeks to maintain active contacts with similar institutes at home and abroad. The Institute arranges lectures, seminars and conferences to disseminate knowledge. The institute also publishes books, periodicals and reports on studies in the Institute, besides providing research Scholarships and Fellowships for studies relevant to the aims and objects of the Institute. he areas of interest include: foreign policy, security and strategic issues with specific relevance to Bangladesh. The institute also focuses on regional, sub regional, inter-regional and international cooperation; Non-traditional and emerging security issues; Resource management and sustainable development, economic liberalisation, trade and investment, governance and civil society; Conflict studies, peacekeeping, security of small states, disarmament, non-proliferation, global peace, and area studies. 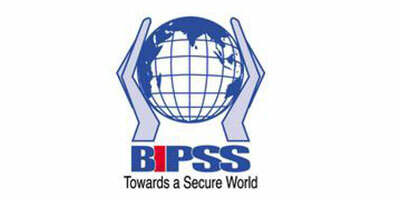 Bangladesh Institute of Peace and Security Studies (BIPSS) is a non-party, non-profit organisation and independent think tank devoted to studying peace and security issues related to the South Asian region and beyond. It is a leading institution in Bangladesh for informed analysis on all aspects of broad spectrum of peace and security studies in the region and beyond. It has become one of the leading security think tanks in South Asia. It has emerged as a critical space for reflection, a forum for research, training, exchanges and dialogue between practitioners and academics at all levels. The institute seeks to bridge the gap between academic research and policy analysis within the context of Bangladesh and other countries of South Asia and beyond. It is a non party, nonprofit organization and independent think tank which provide significant platform for the leading strategic thinkers, academics, former members of the civil, foreign and armed services and media persons to chalk out a comprehensive framework for peace and security issues. BIPSS has also established two specialised centres within its framework named Bangladesh Centre for Terrorism Research (BCTR) and Bangladesh Centre for China Studies (BCCS). BCTR is the first centre of its kind in Bangladesh dedicated to the study and research on terrorism related issues. BCTR has been working in partnership with a number of international centres on terrorism research in South Asia, South East Asia, Europe and USA. On the other hand, Bangladesh Centre for China Studies (BCCS) has been established to understand study and analyse Chinese Foreign Policy and Chinese strategic and security posture. It also aims to study Chinese economic advancement with a view to advocating greater economic and development cooperation between Bangladesh and China as well as China and the Greater South Asian region. The Centre for Bhutan Studies and GNH Research was established in November 1998 as a multi- disciplinary institute for social science and public policy studies. It is the only such think tank in the country and undertakes studies in three areas: cultural and historical studies, policy background studies and Gross National Happiness. The institute conducts evaluative studies on existing programmes of the government and provides feedback on the basis of which the Royal Government can improve programmes and policies. It supports basic research by other agencies in Bhutan. The institute conducts inter-disciplinary studies of Bhutan in its social, cultural, and economics aspects, focusing largely, but not exclusively, on contemporary issues. Besides, the institute acts as a clearing-house of information on various studies and researches being conducted in Bhutan and abroad by foreign institutes. Within Bhutan, the Centre maintains a close research alliance with other people and institutes engaged in similar activities. The Centre also generates programme proposals or writings, as assigned by the Council for the Centre. Among other things, it hosts special lectures and seminars on themes related to its charge by Bhutanese, and by foreign scholars who visit Bhutan for whatever reasons. The Centre commissions studies or research by Bhutanese scholars, publishes the Journal of Bhutan Studies (annual publication), encourages participation of younger scholars in research. In totality, the institute serves as a vehicle to train individuals in research skills to analyse, in particular, contemporary issues. The Centre for Development and Peace Studies (www.cdpsindia.org) is an independent research centre based at Guwahati, capital of Assam, in northeastern India. The Centre comprises a core group that is a mix of senior editors, academics, prominent cultural personalities, economists and development experts. The Centre for Development and Peace Studies (CDPS) is an independent research center, registered in 2004 as a non-profit society with the Registrar of Societies, Government of Assam, in northeastern India (registration number: KAM/240/T/04 of 2004-2005). Based at Guwahati, capital of Assam, the Centre comprises a core group that is a mix of senior working journalists, prominent cultural personalities, besides academics, economists and development experts. CDPS is involved in carrying out meaningful research and writings on the micro and macro-level issues in the fields of development, peace and security in India's Northeast, highlighting efforts and success stories in peace making, drawing up linkages between development and security, and suggesting measures to tackle the imbalances. Aside from close interaction with the Government and non-governmental organizations working in the area, CDPS works in tandem with the media to reach out to the masses, besides sensitizing journalists on the need to shift their focus from violence to development and peace writings. The Centre, through its various studies, assesses the impact of existing development programmes and policies of the Government towards the northeastern frontier, and highlighting gaps, if any, and recommending alternative measures wherever necessary. 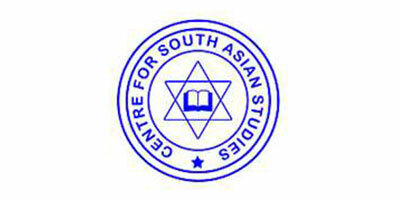 Centre for South Asian Studies is a premier think-tank in Nepal. It organizes seminars and conferences and publishes books on issues of vital importance to Nepal. SAARC and regional cooperation in South Asia has been its forte�. The Centre for South Asian Studies (CSAS) is a fully independent, non-political, secular, research think-tank based in Kathmandu, Nepal. It organizes conferences and conducts research in areas of South Asian regional cooperation, peace and conflict in South Asia, small arms proliferation, trade and connectivity and strategic issues concerning South Asian countries as well as Nepal's conduct of international relations. CSAS is also involved in research, dissemination and deliberation on Nepal's current peace process and constitution drafting with several programs on federalism and integration. In partnership with the Konrad Adenauer Stiftung, a German political foundation, CSAS has been implementing 'Nepal's National Interests' project for the year 2010. CSAS is a founder member of the South Asian Regional Research Forum (SARRF), led by BIPSS, Dhaka. - CSAS is a founder member of the Nepal Security Sector network (NSSN), Kathmandu. Institute of Peace and Conflict Studies (IPCS), founded in 1996, is a premier South Asian think tank which conducts independent research on and provides an in-depth analysis of conventional and non- conventional issues related to national and South Asian security including nuclear issues, disarmament, non-proliferation, weapons of mass destruction, the war on terrorism, counter terrorism and armed conflict and peace processes in the region. The research at the institute promotes greater understanding of India's foreign policy especially India-China relations, India's relations with SAARC countries and South East Asia. Through close interaction with leading strategic thinkers, former members of the Indian Administrative Service, the Foreign Service and the three wings of the Armed Forces - the Indian Army, Indian Navy, and Indian AirThe Force, - the academic community as well as the media, the IPCS has contributed considerably to the strategic discourse in India. The Institute conducts independent research on conventional and non-conventional security issues in the region and shares its findings with policy makers and the public. It provides a forum for discussion with the strategic community on strategic issues and strives to explore alternatives. Moreover, it works towards building capacity among young scholars for greater refinement of their analyses of South Asian security. Research carried out by IPCS is organized between three programmes and one Centre. The Lakshman Kadirgamar Institute for International Relations and Strategic Studies (LKIIRSS) is a multi-disciplinary research forum dedicated to analyzing Sri Lanka’s strategic interests in the realm of international relations, within both the contemporary domestic and global contexts. The Institute, which is chaired by the incumbent Minister of External Affairs of Sri Lanka, was officially inaugurated on August 10th, 2006. The Institute functions as a forum for the generation of research and analysis, with a view to providing an input to national policy formulation. Its mandate includes; promotion of peace, collection of data for the Government of Sri Lanka on issues pertaining to the formulation and structuring of national policies, promotion and assistance in research pertaining to Sri Lanka and its region, publication of material falling into the purview of the Institute, as well as training programmes on diplomacy and international relations. 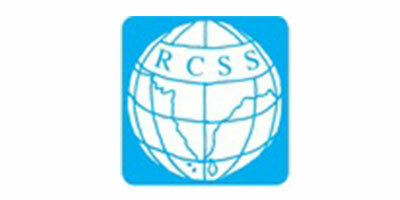 The Regional Centre for Strategic Studies (RCSS) is a South Asian regional think tank based in Colombo, Sri Lanka. Established in 1993, it is an independent, non-profit and non-governmental organization which encourages research, dialogue, and deliberation on a broad range of conventional and non- conventional sources of conflict. The RCSS enables scholars and other professionals to address, individually and collectively, problems and issues of topical interest for all South Asian countries. The Centre's key objectives are to: Sponsor, coordinate, and support research on South Asian strategic, security, and environmental issues, to promote interaction among scholars and professionals in the region and beyond who are engaged in South Asian studies, to foster linkages and collaboration among institutions focusing on studies and activities related to conflict, conflict transformation, and regional cooperation in South Asia and to encourage a new generation of analysts and commentators to generate fresh. Some of the principal focus areas of the Centre are: recent trends in thinking and approaches to strategic studies, arms control and disarmament, proliferation of nuclear weapons, conflicts in inter- state relations and implications for regional cooperation, external factors in the security and stability of the region, refugees and migration etc.. 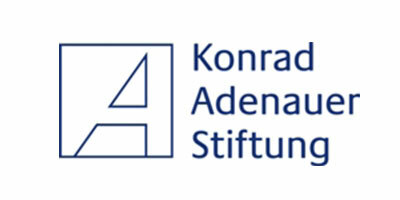 The Konrad-Adenauer-Stiftung (KAS) is a German political foundation founded in 1962 and funded by the Ministry of Economic Cooperation and Development of the Federal Republic of Germany. The KAS follows the spirit of its name giver Konrad Adenauer, the first Chancellor of the Federal Republic of Germany, in fostering democracy and the rule of law, implementing social and market-economic structures and promoting human rights. With its worldwide networks to the political and social elites and with its long-term partner structures, it participates in shaping policy in developing and emerging countries. By training and educating young professionals, the KAS promotes the developing process in social groups and political parties. Currently the KAS hosts more than 200 projects in around 120 countries on four continents with 81 field offices. The emphases of our work in Asia cover the support of current democratization processes and good governance, the intensification of the dialogue between Europe, Germany, SAARC and ASEAN, the reduction of the social consequences of economic growth, a continuation of ongoing value dialogues and a cultural exchange of ideas as well as strategic dialogues about common matters of foreign and security politics. 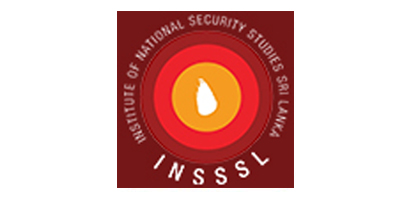 The Institute of National Security Studies(INSSSL) is the premiere national defence think tank of Sri Lanka under the Ministry of Defence. Established to understand the security environment and to work with government to craft evidence based policy options and strategies for debate and discussion to ensure national security. The institute will conduct a broad array of national security research for the Ministry of Defence. The Board of Governors include His Excellency the President Maithripala Sirisena President/Patron of INSSSL, Chairman of the Institute is Kapila Waidyaratne PC the Secretary of Defence along with other board members including Chief of Defense Staff and Commanders of the three Armed Forces. INSSSL Director General is Asanga Abeyagoonasekera. The Institute of South Asian Studies (ISAS) was established in July 2004 as an autonomous research institute at the National University of Singapore (NUS). The establishment of ISAS reflects the increasing economic and political importance of South Asia, and the strong historical links between South Asia and Southeast Asia. ISAS is dedicated to research on contemporary South Asia. The Institute seeks to promote understanding of this vital region of the world, and to communicate knowledge and insights about it to policy makers, the business community, academia and civil society, in Singapore and beyond.